If you’re interested in upgrading your current solar power system to incorporate the sonnenBatterie Eco and/or the new Sonnen Protect solution, simply complete the brief sonnen battery retrofit form below. One of our friendly, expert team will follow up with you promptly to discuss your requirements and options, plus provide you with a quote. 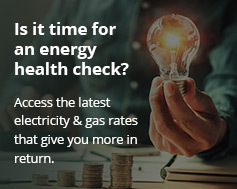 You’ll also start receiving our weekly newsletter with the latest battery storage news plus special deals.Energy Matters has been installing battery systems across Australia since 2006. Our highly trained installers and qualified technicians will provide you with a superb level of customer service and ensure your sonnen battery is installed for optimal performance. We’re currently offering great deals on Sonnen home energy storage! Please note: if you’re instead wanting a full solar + storage system featuring Sonnen energy storage, you can get a quick quote here – or call our team on 133 SUN.